It’s no secret that Barcelona are interested in AC Milan centre-back Leonardo Bonucci. But who isn’t? 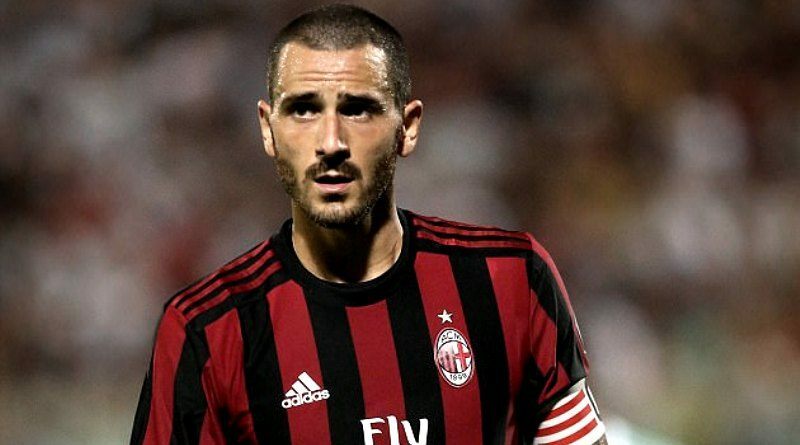 According to the football transfer rumours in Italian media, Barcelona are linked with AC Milan star Leonardo Bonucci. AC Milan reportedly paid Juventus 45 million euros for Leonardo Bonucci earlier this year. The 30-year-old has a valid contract with AC Milan until June 2022. Leonardo Bonucci made 23 appearances across all competitions for AC Milan, supplying one assist in return. The 30-year-old is considered to be one of the best centre-backs in Italy. His record for Italy is also impressive. Bonucci has scored five goals in 75 matches for Italy at senior level. Ernesto Valverde wants to sign a new centre-back and Leonardo Bonucci is one of the names at the top of his wishlist. The Italy international is thought to perfectly fit the profile of defensive player Ernesto Valverde wants to target in the winter transfer window. According to the report, the Catalan giants are thinking about making a move for AC Milan’s Italian international defender Leonardo Bonucci in order to replace Javier Mascherano. AC Milan will almost certainly need to sell one or two of their star players given that the club will almost certainly miss the top four in the Serie A after the dreaful start to the season. This means that that AC Milan in order to balance the books they could be forced to cash in on Bonucci. It remains to be seen how Milan director’s Marco Fassone and Massimiliano Mirabelli react should Barcelona make an offer as well as how Bonucci himself will react given that he has previously expressed a desire to not leave Italy. It will be interesting to see whether Barcelona will make their move during the January transfer window.